The Certified Nurse Assistant (CNA) is an important member of a healthcare team in Alabama. Under supervision of a registered nurse (RN), the CNA works directly with patients and various facility residents, providing care that enhances client safety, hygiene, health, recovery and comfort. CNA jobs are found in assisted living and long-term care facilities, hospitals, clinics, hospices and physician offices in Alabama. It is an excellent career choice for people who want to begin working as soon as possible. There are many schools and agencies offering state approved CNA classes in Alabama. A state approved Nurse Aide Training and Competency Evaluation Program meets federal law and the State of Alabama Nurse Aide Registry requirements. Facilities offering programs leading to CNA certification in Alabama include community colleges, technical colleges, nursing homes, private schools and nonprofit agencies. Nursing Assistants are also called Nursing Aides, Nursing Care Attendants and Nursing Attendants. Following are the steps to become a CAN in Alabama. Some Alabama colleges offer two tracks for CNA training. For example, Lawson State Community College in Bessemer offers one track to become a Certified Nursing Assistant, and a second track to become a Certified Nursing Assistant/Home Health Care Aide. CNAs who are also certified as a Home Health Care Aide (HHCA) can work wherever CNAs work and also offer services to clients in their homes. Many CNA/HHCAs work for home health agencies. It is important to only attend a state approved program no matter what track the student chooses. Estimated Costs: $135.90 (scrub top, bottom, patch), $52.75 (new textbooks), $71.50 (background check, drug screen), $60.25 (diagnostic kit including stethoscope, blood pressure cuff, pen light, CPR face shield and eye protection), $71.50 (background check and drug screen), etc. The community college also offers CNA classes in Eufaula, Alabama. Call (334) 556-2414 for more information. The community college also offers nursing assistant training in Valley, Alabama. CNA training program costs can vary, depending on where the student chooses to complete training. For example, Easter Seals Central Alabama offers a 5-week CNA program that costs $1,400 and includes training, uniforms, shoes, textbook, supplies, CNA examination, drug screening, health exam and background check. In another example, Lawson State Community College charges $1,500 for tuition, fees and supplies for the CNA/Home Health Care Aide program, and $657 for tuition, fees and books for the CNA (only) program. Be sure to take all training costs into consideration. Financial aid is often available, either through the school or a local career center offering workforce training funds. Also, it should be noted that CNAs who are employed by a Medicare or Medicaid funded skilled nursing facility within 12 months of passing the competency evaluation examination can be reimbursed for training and examination costs by the employer. The most important thing to keep in mind is that students should only take and pass an approved Certified Nurse Aide Training program in Alabama because it is assured of meeting federal and state CNA training requirements. Nursing assistant students must successfully complete a minimum of 75 training hours with a minimum of 16 hours of supervised clinical training and a minimum of 16 hours of lab training included. State approved training is provided by an instructor with a current Alabama nursing license. Upon successfully completing the training, the program gives the graduate a Certificate of Completion. What to Learn During Training? There are multiple approved testing sites located around the state. Examinations are given at nursing homes, training centers, regional test sites, technical and vocational schools, and community colleges. The approved testing sites depend on the testing organization delivering the exam. Testing sites and schedules are posted online. No matter which test provider is used, the testing process includes a Written or Oral Test and a Clinical Skills test. The Written or Knowledge Test consists of multiple-choice questions, usually delivered via computer. The Clinical Skills test is a timed test that test five skills like hand washing, and measuring and recording client weight. Test-takers must pass the exam within 24 months of completing training and within three attempts. If failing to pass the examination within three attempts, or if the person does not pass the exam within 24 months, Alabama requires the person to be retrained before re-taking the examination. Candidates are encouraged to take the nurse aide practice exams and self-assessment reading tests offered by the online test providers. Once the CNA candidate successfully completes the Nurse Aide Competency Examination, the testing organization notifies the Alabama Nurse Aide Registry. At that point, state certification requirements have been met. How to Keep CNA Certification Active in Alabama? To keep CNA certification active, the CNA must be currently working in or have worked at least 8 hours within the past 24 months in a nursing home, home health agency, hospital, community mental health center and/or hospice. For purposes of maintaining CNA certification, work in assisted living facilities, private sitting arrangements and physician offices does not count. Active status in the Alabama Nurse Aide Registry is good for 24 months beyond the last date worked in a healthcare facility. If the CNA does not work the minimum number of hours within the 24 months at an appropriate facility, it is necessary to retrain and pass the exam again to renew CNA certification. There is no certification renewal process required on the part of the CNA, unless the CNA has not worked during the 24 months. The employer is responsible for reporting employment status to the Alabama Nurse Aide Registry. However, skilled nursing facilities are required to provide CNAs 12 hours of mandatory continuing education per year. The year period is determined by the date of hire. Out of state CNAs can work in Alabama, as long as the person is active and in good standing in the other state’s registry. Good standing in Alabama and other states means there are no validated allegations of abuse, and all requirements for maintaining active status are met. To get on the Alabama registry when on another state’s registry, first find employment at a nursing home, home health agency, hospital, community mental health center and/or hospice. The employer will verify the certification status and notify the Nurse Aide Registry to get the CNA’s name entered in the registry. This process does not apply to home health aides. If the person is not active in the out-of-state registry, he or she can complete an Alabama state-approved CNA program, pass the competency and evaluation examination and find employment. The employer then notifies the registry. Certified Nursing Assistants enjoy a satisfying healthcare career helping some of the nation’s most vulnerable people, like the elderly, enjoy a higher quality of life. Many Nursing Aides discover they wish to complete additional nursing training to become a Registered Nurse or Licensed Practical Nurse. Becoming a CNA does not require lengthy or expensive training, offers excellent employment opportunities and leads to a career focused on helping others. I want to apply for the nurse assistant programs in Alabama, but I am from Nigeria. I want to know how much it will cost to do the program like tuition fees and the rest. Hello Anita, thank you for visiting http://www.ChooseCNA.org. 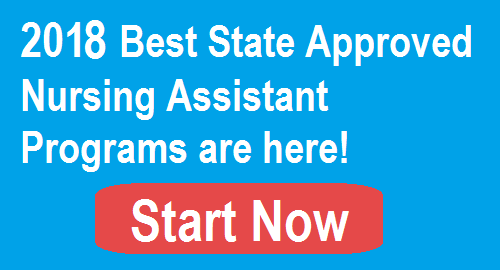 If you want to become a Certified Nursing Assistant in Alabama, you need to take a state-approved CNA program in the state. The program list including tuition fees and costs is updated in May July, 2017. So, please check each Alabama CNA program information. If you contact the schools, you could get more information. Good luck!